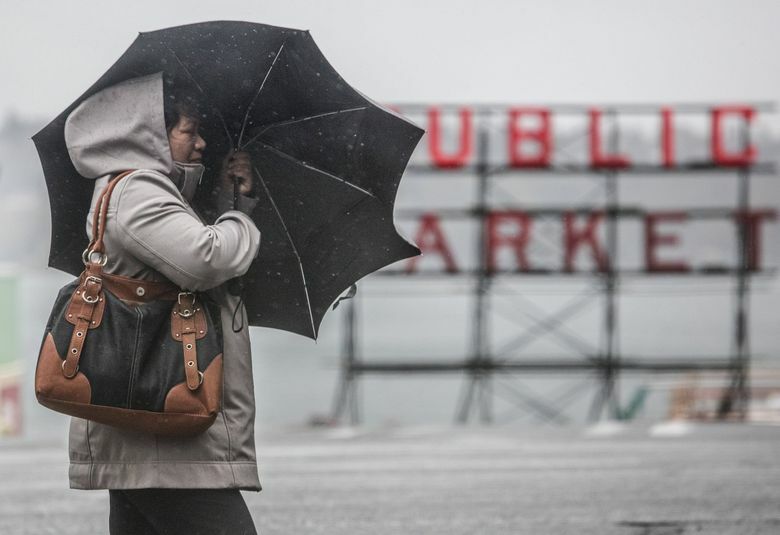 Krista Manuelson has tried many times to explain the virtues of the umbrella to her best friend: It’s a utilitarian accessory that makes sense here in Seattle, where it rains about half the year. But her buddy, a Washington native like herself, simply smirks. For the past three years, Manuelson has worked at Pike Place Market’s Bella Umbrella, where she’s sold the owner’s handcrafted, steel-ribbed pagoda-style designs, as well as other high-quality models from around the world. 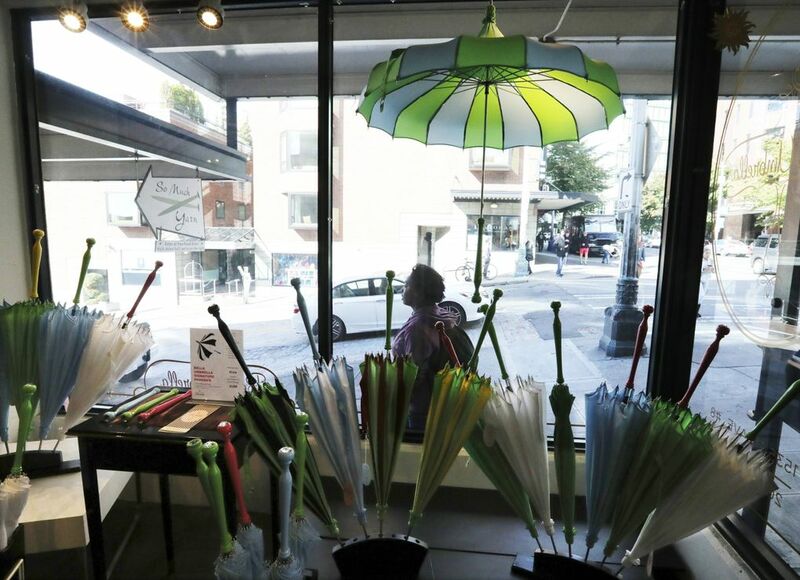 Bella is Seattle’s only brick-and-mortar umbrella store, and soon to be its last. The store is closing this week. 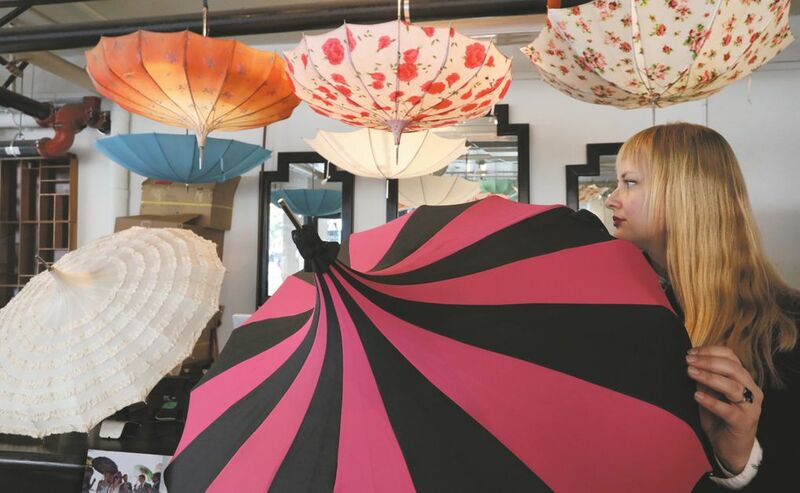 Owner Jodell Egbert, who learned the dying art of umbrella making after she fell in love with a box of vintage ones she bought for her wedding 15 years ago, plans to move her store to a new space in New Orleans’ French Quarter. She already operates one other umbrella store in the Southern city. Her decision wasn’t just about sales, the Seattle native said. She fell in love with The Big Easy after moving there in 2014. Her lease in Seattle was up, too, and online shopping had a brutal effect on sales. Shrinking parking options in a crowded city core near one of its biggest attractions haven’t helped, either. That’s not all, she admits. The relentless insistence by some folks — who claimed that no self-respecting Seattleite would deign to use a bumbershoot — played a role. Just ask around, and you’re sure to find a common umbrella sentiment. Roman Tran, an Everett resident who works a construction job in Seattle, said he’s an umbrella denier because he’s acclimated to the wetness. Manuelson blames Seattle’s reluctance to embrace the sanctuary of the fabric dome on regional pride. “When I lived in Minnesota, they said if you can’t handle the snow you’re a wimp. We’re proud of our rain and we get through it,” she said. Her boss, store owner Jean White, agrees. There is something about our weather that might lead a typical person to shun the umbrella. Seattle has a longer-than-average rainy season, with about 155 days of wet weather a year. But we’re listed only 44th in the nation in total accumulation, at 38 inches of precipitation a year. That’s less than cities such as Atlanta, Houston, New York and the nation’s capital. According to the National Weather Service in Seattle, our bumbershoot aversion could have something to do with the misty nature of our raindrops. Our typical rain comes from lower, flat stratus clouds and not from the dense, high cumulonimbus clouds that are associated with heavy precipitation, Weather Service meteorologist Logan Johnson said. Satoko Kobayashi, of Seattle, ran into all these problems when she opened her online boutique Pare Umbrella. In 1996, Kobayashi moved to Seattle from Japan, where umbrellas are considered fashionable as well as functional. She was surprised to see people in the pouring rain walking around in their hooded jackets, getting wet and looking uncomfortable. When she started her own company, she was determined to bring Seattle something she thought it needed. “It’s so funny,” she said of Seattle’s lack of interest in rain-shielding devices. “I get lots of orders from California, the East Coast, New York and D.C. — big cities where people commute using the train or bus — but Seattle still doesn’t think about the umbrella much. Local data is hard to come by, but nationwide umbrella sales are down, according to market-research firm NDP Group. 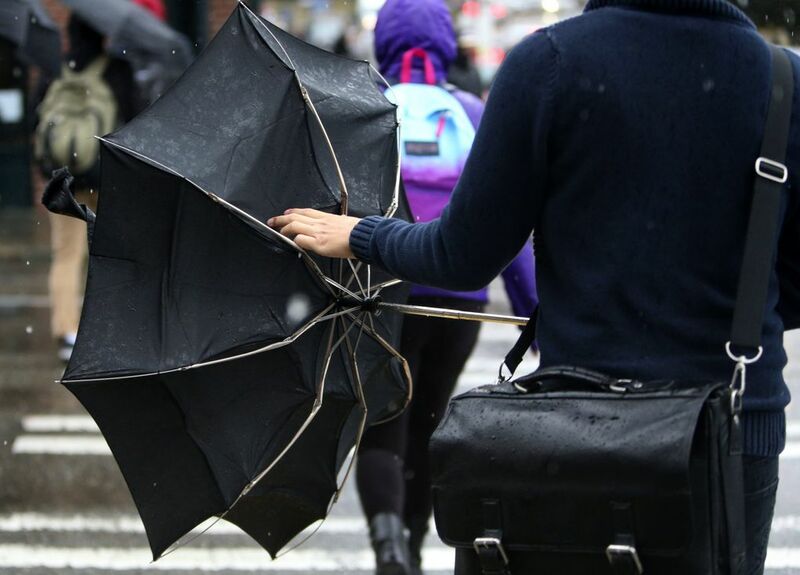 Its Consumer Tracking Service indicates Americans spend $325 million annually on 25 million umbrellas, and that’s down 11 percent from last year. Perhaps the Seattle attitude is spreading. Correction: A previous version of this story included an inaccurate number of umbrellas sold in the United States each year, according to market-research firm NDP Group.